This 21st century is the modern century. In this century, technology has been improved a lot and that advanced technologies have great effects on our daily life. 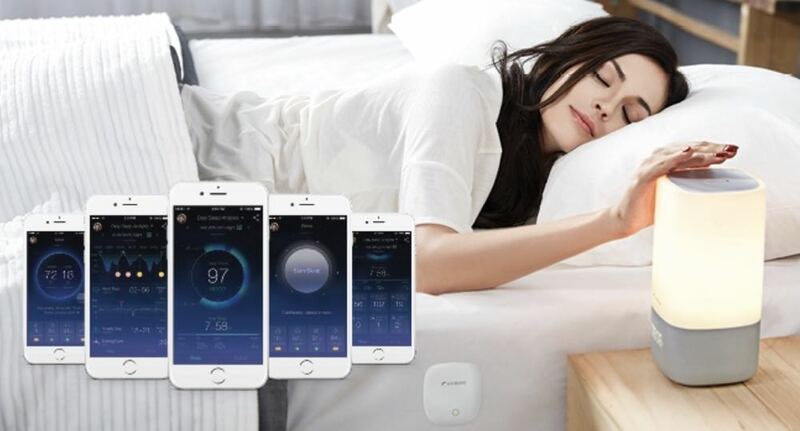 From the morning’s weak up to night’s sleep, we use technologies every time; even while us sleeping. We can’t live without technologies this time. Specifically, technology has roles in every single part of our life. Technology has changed the world and presented us an upgraded and better lifestyle. It helps us to make anything better; and sleeping isn’t different too. There are a lot of technologies which has changed the definition of sleep. Today, we are going to meet with some modern technologies which can help us to have better sleep. Waking up in time is an important precondition of better sleep. And for this, Philips has invented a wake-up light which awakes you up in time in the morning. The light’s concept is based on the sun rising. As the sun rises up slowly in the morning and the sunlight increases with the time, this light also increases the brightness with the time. And more important is, this light does it gently. You can set your waking time, and the light will start increasing its brightness over time. Additionally, this light has a clock radio so you need to stop it by pressing the button; that means you need to weak up it time. We generally use alarm clocks for waking up, but the sound of the alarm is so annoying at the first of the day. That’s why Philips has brought this innovative wake-up light. This is so useful as well. Chillow is an innovative technology-based pillow. This pillow can drop its temperature to the relaxing level which is so cool and helps you to fall asleep quickly. The idea has come from our nature. Remember, we generally turn around the pillow to get the cool and relaxing feel? Yes, the Chillow uses the same method to let us sleep. This Chillow is highly recommended for them who have sleep deprivation and can’t sleep well. Chillow uses cool temperature to let you sleep, but sound therapy pillow uses music to do that. We often use ear buds, earphones or laptops to play music during the sleeping time to be calm and relaxed. But this is not so effective. But the sound therapy pillow does it effectively. There are 2 built-in ear buds inside the pillow. And the pillow plays your favorite and relaxing songs very gently inside. This thing makes your mind relaxed and helps you to sleep well. The Glo has brought nightlight which is another advanced technology-based invention which helps you to sleep peacefully. The light makes the room dreamful by using the glowing lights all around the bedroom. A dreamful and peaceful sleeping environment is highly capable to let you fall asleep. The Glo nightlight just makes the sleeping environment amazing, in a word! You might hear that mobile harms the quality of our sleep and creates sleep deprivation. Well, that’s pretty right, but there are smart mobiles that help you to sleep too; seriously! The Zeo has brought a sleep manager mobile which has rechargeable wireless headband that read out your brain’s wave during sleep. Yes, your brain’s waves! I know it’s surprising but it’s real. It collects all your sleeping data such as REM, deep sleep, activity, weak time etc. and sends it you’re your phones to process them. It processes the data and recommends you to make some changes to your sleep to maximize the sleep.